Contents: Introduction; Subversive pirates? Representations of Purser and Clinton 1538-1639; The uses and abuses of 'piracy': discourses of mercantilism and empire in accounts of Drake's 'famous voyage' 1580-1630; 'Et in arcadia ego': piracy and politics in prose romance 1580-1603; Pirates and politics: drama of the 'long 1590s'; Jacobean connections: piracy and politics in 17th-century drama and romance; Politics and pirate typology in John Fletcher and Philip Massinger's late Jacobean pirate drama; Bibliography; Index. 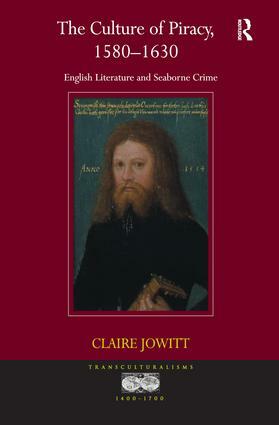 Claire Jowitt is now Professor of Renaissance English Literature at the University of Southampton. Her previous books include Voyage Drama and Gender Politics 1589-1642, Pirates? The Politics of Plunder 1550-1650 (ed. ), and The Arts of Seventeenth-Century Science (co-ed. ).